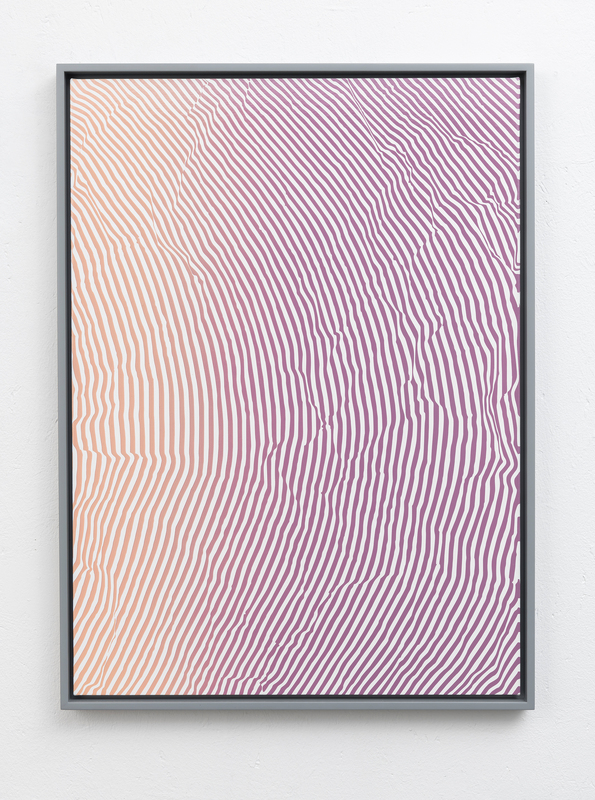 The paintings on this page are based on digital drawings of stripe patterns that have been subjected to a series of formal reconfigurations. The irregular stripe patterns are made by crumpling inkjet prints with symmetrical stripe arrangements, which are subsequently evened out, scanned and rendered as vector graphics. The vector graphics are produced as adhesive stencils with a foil cutter and are finally affixed to supports that are spray painted with colour gradients.